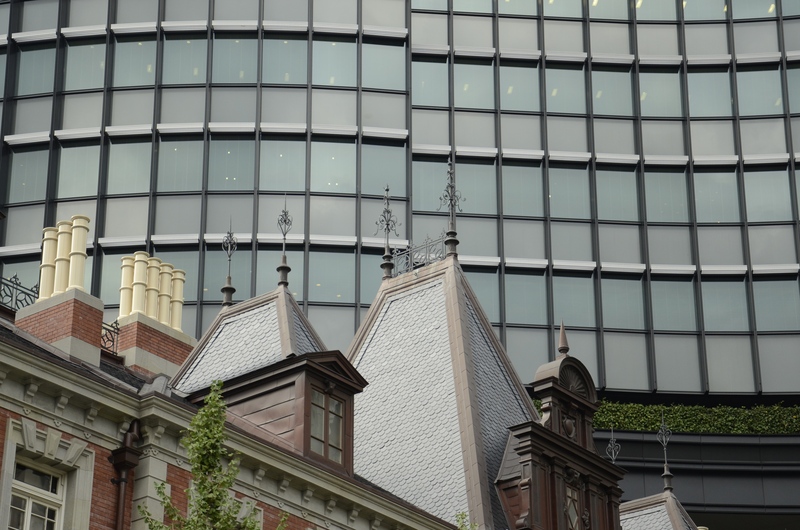 Sometimes architecture can offer some interesting juxtapositions, like these old and new mash-ups in Tokyo (above) and Sydney (below). For more interesting juxtapositions, check out this week’s WordPress Photo Challenge! This entry was posted in Australia, Japan, Photography, Stephen Kelly Creative, Stephen Kelly Photography, Sydney, Tokyo, Weekly Photo Challenge and tagged Architecture, Australia, Japan, Juxtaposition, Stephen Kelly Photography, Sydney, Tokyo, Weekly Photo Challenge. Bookmark the permalink. The Sidney photos is especially nice. Good entry for this one. Thank you, Pat. I’ve been waiting to bust that one out for a long time! 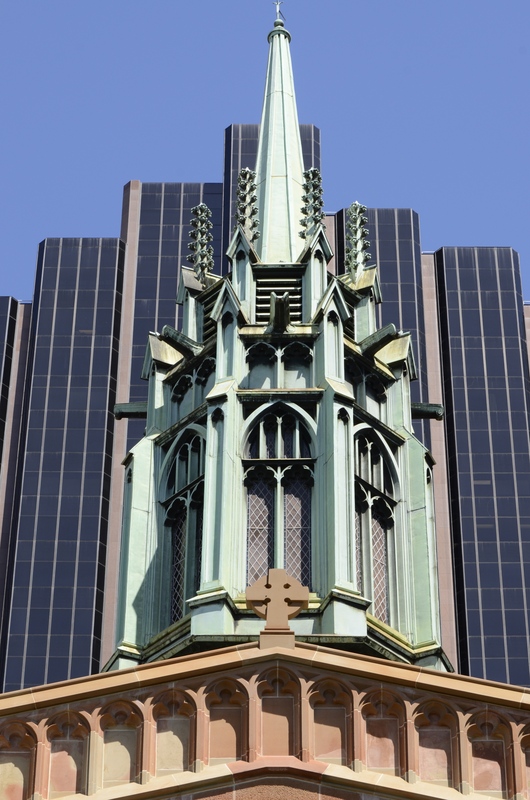 These juxtapositions remind me of Copley Square Plaza in Boston, with an old church being towered over by and reflected in a lot of large panes of glass in nearby modern buildings. I guess it happens everywhere…. We seem to be very good at ‘saving the beautiful’ while overshadowing with the modern, don’t we? I can think of other examples in Sydney, as well as Melbourne. Hi Ken … I’ve seen many such examples in Sydney, typical, I guess, of older cities where the old mingles with the new … often to jarring effect! Hey Victoria … yes, such juxtapositions are common in big city environments … I see it here in San Francisco. Pingback: Weekly Photo Challenge: Juxtaposition (Lamp) | What's (in) the picture? These are such lovely, crisp images – love them!